I want one of these Bad Boys although I love my old Buggy! Some of us are already getting excited about fall hunting and one of these would really get us to and from our stands quicker. Paul, myself and some other guys spent the day on Saturday checking out our camp and getting our feeders filled and working. It’s getting near that time to plant our food plots too. Bad Boy® Off Road, a Textron Specialized Vehicles brand, is proud to announce the Stampede™ 900 4×4, a side-by-side with unmatched power, nimble suspension and handling, unrivaled hauling and storage capacity, an extraordinary driver experience and exceptional reliability. 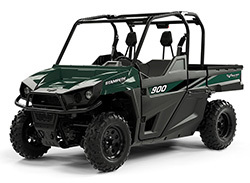 “We designed Stampede to be industry-leading on the features that drivers told us matter most – power, a comfortable ride, and the ability to haul and store everything they need,” said John Collins, vice president, consumer for Textron Specialized Vehicles Inc..
Read all about it on the Bad Boy Off Road website.